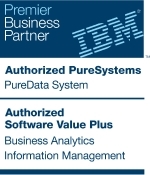 EBI are an accredited IBM Premier Business Partner. So, you can be certain the very best choice of leading technologies will be built, integrated and configured to most effectively deliver your business goals. As an IBM Business Partner, EBI have proven the highest levels of capability in implementing enterprise technologies to meet complex business needs. Full support from IBM means you and the EBI teams have direct access to the latest knowledge and thinking from IBM specialists. EBI will arrange all software licensing as well as configuration as part of an implementation. It is not surprising IBM trust and recommend EBI. As one of the longest established independent information management and analytics consultancies in the UK, the team have unrivalled experience and expertise. Commissioned and retained by a range of enterprise organisations over the last 15 years, the EBI team is accustomed to working across a variety of sectors and integrating the most powerful and robust technologies with the most cutting-edge, including building bespoke applications to deliver added advantage. Find out more about how working in partnership with EBI and IBM will give you a unique advantage – contact. Discover more about IBM technologies.